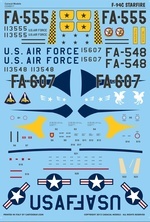 This decal sheet provides three marking options for the 1/48 Kitty Hawk kit of the classic cold war interceptor F-94C. 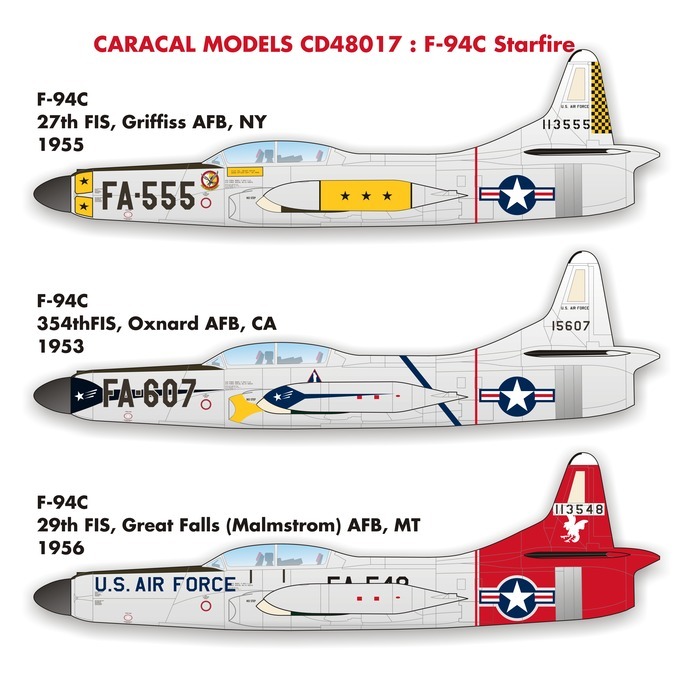 This decal sheet is professionally silk screen printed by Cartograf in Italy; and includes a full set of national insignia and maintenance stencilling. We will start shipping this sheet on February 1, 2018. You can preorder this decal sheet securely with your credit card or PayPal account now.